With custom panel options, refrigerators can look like just about anything these days. 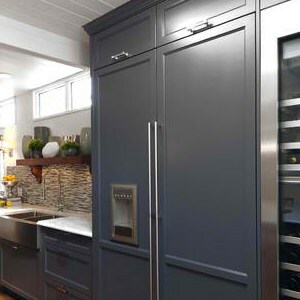 Here are some great examples of refrigerators that have been fully integrated into the cabinetry. When going with integrated refrigerators, you have a lot of options. 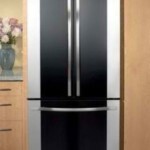 Refrigerators that look like armoires tend to be more intricate and expensive than most choices. It may even be the priciest that you will find and it doesn’t work that well in smaller kitchens. If you have a panel ready built-in refrigerator though you can get a similar look for a lot less money. This style works well if you want an upgraded appliance but stainless steel isn’t your thing. 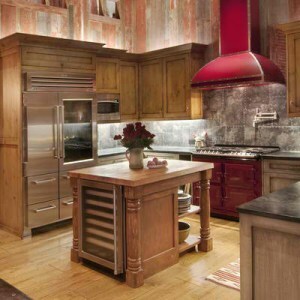 Semi-integrated or fully integrated appliances work well with popular farmhouse style rooms and in smaller kitchens. 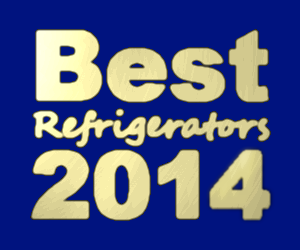 Here are our top five favorite refrigerators that look like cabinets. 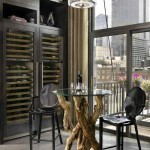 Unlike appliances that try to mimic armoires this style is much simpler. 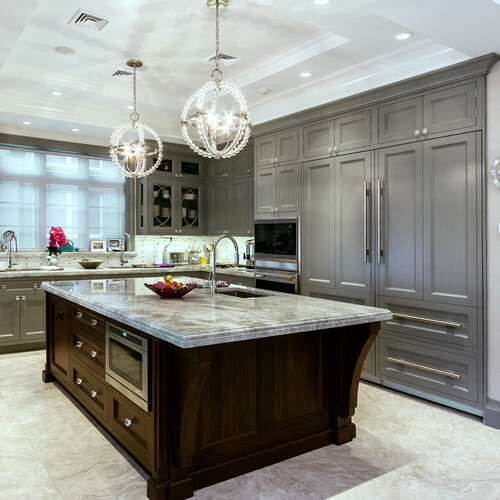 Custom panel side by side fridges like KitchenAid KSSO42FTX and the GE Monogram ZIS420NX have traditionally been used with lighter wood cabinetry or painted panels. An update is a darker wood tone with more of a flat front style. 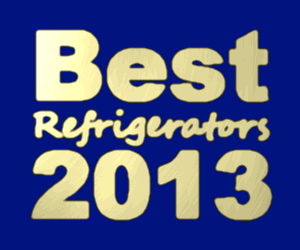 Such a style often uses a side by side refrigerator instead of a French door one. Side by sides are usually more affordable than similar French door models. 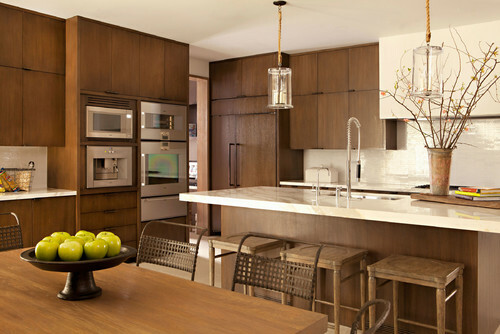 Look for custom handles like those that are shown in this Kirkpatrick Architects design. The wood tones almost have a retro 70s feel. The stone countertops, pendant lights, and stainless appliances take it into a contemporary territory. Venegas and Company uses a fully integrated style here. They went with a fully integrated Thermador with the model number T18IF7ONSP. The other side boasts an all refrigerator style with the model number T24IR70NSP. The unusual part about this is actually the handles. 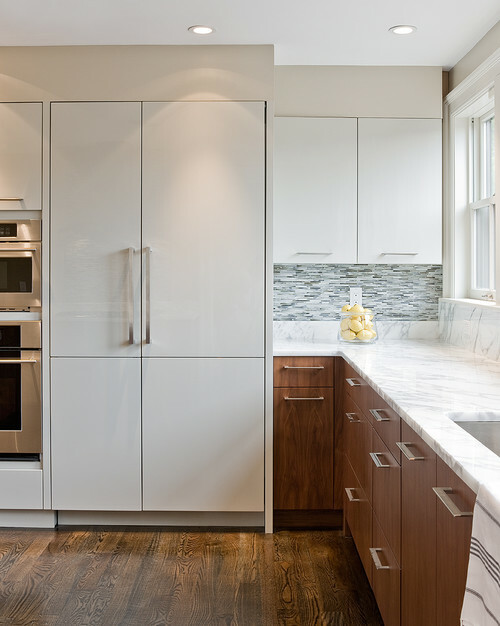 It has been popular to mimic the handles of cabinetry. (It will be easier to start with your appliance handle and match your cabinetry handle than working the other way). Typically we would see a white fridge with a white handle. 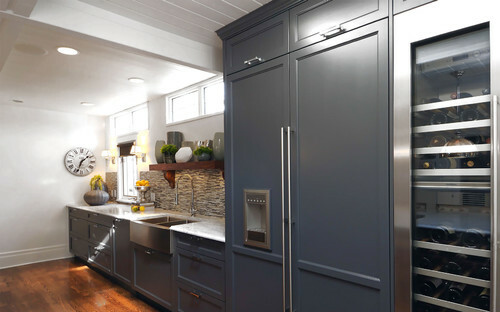 These stainless handles match the appliances but more importantly; it coordinates with the cabinets. 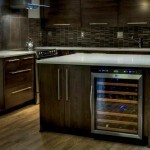 Contemporary Kitchen by Saskatoon Interior Designer Atmosphere Interior Design Inc. This integrated refrigerator gives itself away a little bit because of the water dispenser. Blue is a really popular kitchen color so there may be a temptation to go with a dramatic choice like the Dacor PF36BNDFBU which is called Blue Water. Instead, get a panel ready refrigerator where it will be easier to change the color during your next remodel. You will want to go with a water dispenser that is stainless or silver instead of black such as the GE PSB42YGXSV. This cool color will match the handles and also the blue tone a lot better. This fridge also has added height from the cabinets on top and the crown molding. Everything about this kitchen is very classic. 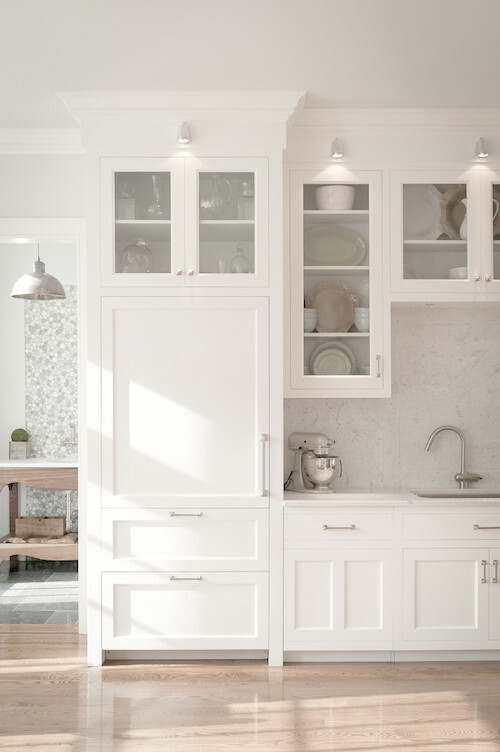 The simple white cabinetry, the color palette, and the glass front doors will still be livable in ten years. The glass is highlighted by spotlights to make it a showcase which also detracts attention from where exactly the fridge is. The designer states that this is a Liebherr refrigerator but is unsure of the model number. The fully integrated counter depth Liebherr HC1001 would give you a similar feel but it has a bottom freezer door instead of two freezer drawers. It becomes a bit of a treasure hunt when working with integrated appliances to see who can spot the fridge first. When you go with a larger capacity or two single door fridges next to each other it looks more like a pantry. Also French door styles will be better because the drawers on the bottom will more closely mimic the rest of your storage. 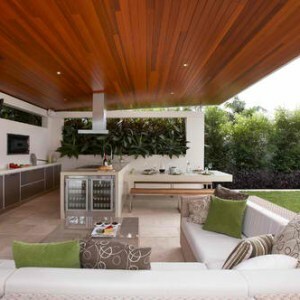 For a traditional or classic style home integrated or built-in appliances are the best. Stainless steel is more contemporary but it’s also more difficult to clean.